A new federal rule will allow state driver’s licensing agencies to waive the requirement of the commercial learner’s permit test for individuals who worked in a military position that required operating a truck within the last year. According to a Federal Motor Carrier Safety Administration document scheduled for publication in the Federal Register on Sept. 28, state licensing agencies may (but are not required to) waive the tests required for passenger carrier endorsements, tank vehicle endorsements or hazardous material endorsements if they are supplied with proof of training and experience. An individual must pass a knowledge test and obtain a learner’s permit before passing a general skills test and earning a commercial driver license. “This rule gives states the option to waive both the CDL knowledge and driving skills tests for certain current and former military service members who received training to operate [commercial motor vehicles] during active-duty, National Guard or reserve service in military vehicles that are comparable to CMVs,” the Federal Register document states. FMCSA evaluated the costs and benefits associated with the rule and found that it would result in savings of $16 million over the next decade. The rule will become effective Nov. 27. It is the latest in a series of FMCSA efforts to ease the transition of veteran motor vehicle operators into civilian truck-driving life. For example, the agency announced the Military CDL I Rule in October 2016, which extends the period of time for applying for a skills test waiver from 90 days to one year after leaving a military position that required operating a commercial vehicle. The rule also allows active-duty military personnel to apply for a commercial learner’s permit and CDL from the state in which they are stationed, rather than just in their home state. “The combined effect of the Military CDL I Rule and this rule will allow certain current or former military drivers, domiciled in participating states, to transition to a civilian CDL more quickly due to their armed forces training and experience,” the document states. States, too, have led efforts to exempt veterans from certain federal CDL requirements. 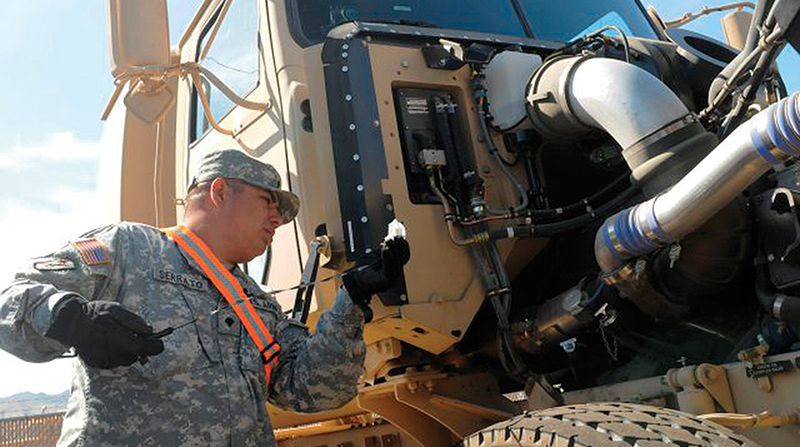 In 2016, the Missouri Department of Revenue submitted an application to FMCSA asking for permission to waive the knowledge test requirement for qualified veterans who participated in dedicated training in approved military programs. FMCSA granted Missouri DOR a two-year exemption in October 2016 and extended the waiver to all state driver’s licensing agencies. According to the document, FMCSA does not maintain data from all of the states that are using the exemption. The agency reports, however, that Illinois has granted more than 75 exemptions through the program since Jan. 1, 2018. Individuals petitioning for this final rule to be reconsidered must submit comments before Oct. 28.